There are various methods of varicose veins treatment, some of which are noninvasive types of treatment like laser procedures. 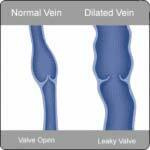 Laser surgery for problem veins is done by sealing off the vein by heat and light. Aside from possible redness and swelling at the laser surgical site, side effects are few and improbable. 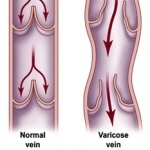 Varicose vein laser surgery is most effective for spider veins rather than bulging types of varicose veins. More than one or two treatments are most likely needed with laser types of procedures. However, patient can immediately return to normal activities.